Two Brick Township neighborhoods – including one heavily damaged by Superstorm Sandy – are in line to receive roadway and drainage improvements in the coming months. 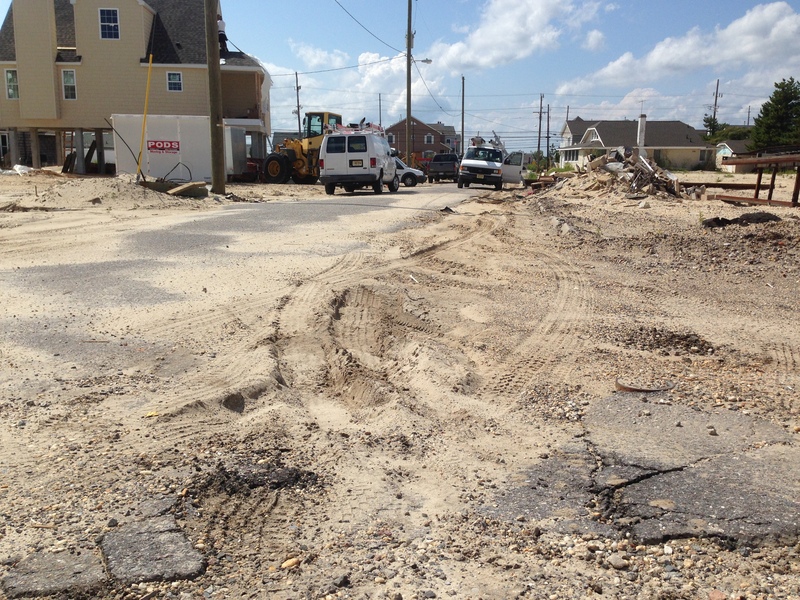 The township council voted this week to solicit bids for a large improvement project in the Normandy Beach section, where streets remain in disrepair since the storm struck in Oct. 2012. The scope of the project will include repaving the streets and raising them to improve drainage. Improvements to the roads in flood-plagued neighborhood have been a frequent request of residents, especially after the storm. The improvements are planned for Normandy Drive, Broad Avenue, Lake Court, Ellison Drive, 6th, 7th and 8th avenues, and Ocean Terrace. Not all of the streets will be elevated, officials have said, but major intersections will all receive drainage improvements. A paving project will also begin soon in the Cedarwood Park West development. The council approved a $728,789 contract with Esposito Construction, of Old Bridge, to repave Monmouth Avenue, Glenwood Avenue, Manchester Avenue, Fairfield Avenue, Piel Avenue, Community Drive, Grove Avenue, Pershing Avenue, Sterling Avenue and Lynnwood Avenue.